Butler, M., 2018. 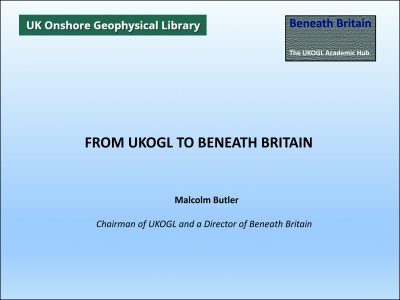 From UKOGL to Beneath Britain. Beneath Britain Launch, Oxford. Butler, M., 2018. 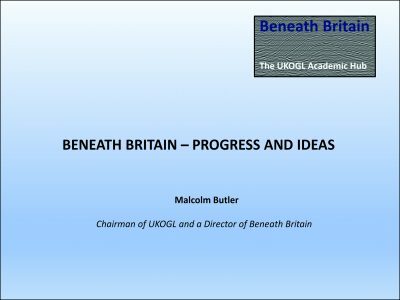 Beneath Britain – Progress and Ideas. Beneath Britain Launch, Oxford. Butler, M., 2018. 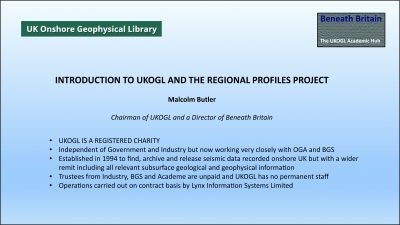 Introduction to UKOGL and the regional profiles project. PETEX.